The perfect addition for a seaside escape or mountaintop retreat, the Nantucket Platform Bed boasts a classic cottage style. Available in various finishes and sizes with under-bed storage drawer and trundle options, the Nantucket is sure to fit into any bedroom with ease. Each bed comes with one set of two storage drawers. 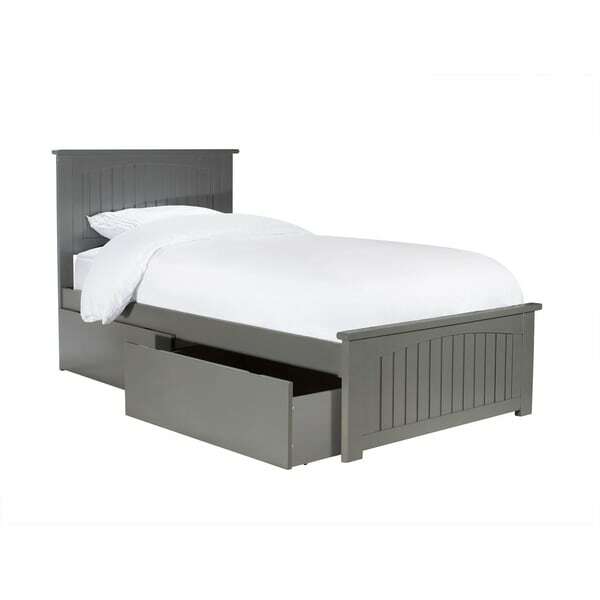 Additional sets can be purchased separately to add extra storage space to full, queen, and king beds. Dimensions 83.63 In. X 43.63 In. X 41.38 In. Nice bed, nice color and great size for my 20-year-old who traded his double bed for more space in his room. I only wish the bed was built a tad higher or offered risers for the feet, because the drawers don’t fit under the bed - even with our very low pile carpet.